Beatle Things, the Recording Artists behind this phenomenon, recognized the need for a NEW inexpensive Weight Loss, Fitness alternative and New Dance / Music genre. The concept has roots in Science & Medicine, blending fitness, with FUN. 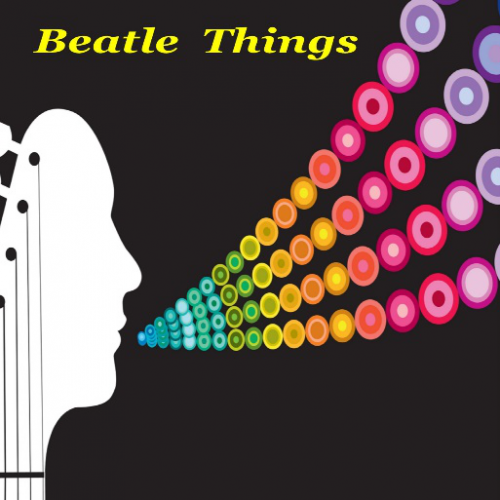 Beatle Things scientifically formulated and recomposed legendary Beatles’ successfully popular tunes. Focusing on contemporary beats, and appealing melodies, as opposed to current “Generic” Electronic Gym Sounds and “Exercise Class Beats”. Intensity and Impact determined by the Individual. The announcement of the new Dance/Workout by Beatle Things confirms the official release of the first of a series of compositions. “Twist Shake Shout (Workout Version)” has initiated a viral alternative in terms of Best Workout Songs and Exercise Music 2019. Successfully injecting scientifically composed versions of Popular Beatles music has been the motivation behind this first release. Beatle Things realized music is an undeniably proven and viable component that induces human well-being and healing properties. “Ours a phenomenon that occurs when a person listens to and absorbs magnetically exhilarating rhythm and pleasing harmonics within a music formula” proclaims Beatle Things. A recently released video Demonstrates this alternative that Fitness and Music Advocate communities are responding exceedingly well to. Beatle Things leveraged this science while composing “Twist Shake Shout Dance/Workout”. Performing enormously popular Re-arrangement of “A Hard Day’s Night “and “Twist and Shout”. While listening, the Human brain subconsciously receives electrifying and euphoric Impulses. The body moves pleasingly to the beats, and the person begins to feel the urge to move, dance, and, inevitably, exercise. Dancing is one of the best fitness regimens to pleasurably promote and maintain weight loss and Cardio Health. Evidence of success and research using this method is the Primary motivation for the actual Concept of this entire Project. Easily accomplished by all age Groups and low to high Impact defined by individual preference. The “Twist Shake Shout Dance/ Workout” can be done anyplace! People receive multiple benefits from the fun of “Twist Shake Shout Dance/Workout”, and physiologically, the movements assist in Weight Reduction, Muscle exhilaration, and decreased Stress, all major factors for success. As opposed to spending huge sums of money on diets and exercise programs that are rarely effective, long term and difficult, “Twist Shake Shout (Work-out Version)” Music Download is under a single Dollar. Once downloaded, Users can listen and participate virtually anywhere. The Recently Published “Official Twist Shake Shout Dance/Workout” 8- minute exercise and Dance Videos can be viewed here. Beatle Things, creators of the Easy and Fun way for Weight Loss and Cardio Fitness titled the “Twist Shake Shout Dance / Workout”, have currently been well received in Countries world-wide. The Music is available on all Media Streaming Sites. They are advocates of fitness to music, citing research, and successes within Harvard School of Medicine and Cleveland Clinic. Public information is easily accessible on the successful implementation. Beatle Things and their Publisher Roxx Starzz Anonymous LLC respectively “Reserve World Intellectual Property Rights” as to their works and creative methods.